If you're a reader of the Huffington Post Green Page then you are almost certainly aware that the Obama Administration signaled a major shift yesterday in how mountaintop removal coal mining will be regulated. In brief, Obama's head of the EPA, announced a decision to delay and review permits for two mountaintop removal mining operations, an action that calls into question more than 100 additional valley fill permits now pending that threaten to bury hundreds more miles of headwater streams and destroy dozens more Appalachian Mountains. In making this decision, President Obama also took another step in fulfilling his campaign promise to bring science back to it's rightful place in guiding the decisions of federal agencies. Over the course of eight years, the Bush Administration ignored the advice and analysis of the best scientists and systematically re-wrote the rules to allow companies to dump mine waste indiscriminately into streams. They also sought to allow higher levels of arsenic, selenium and other toxic metals from mine runoff in drinking water. Realizing that Bush's policies were wrong from the start, the coal industry and supporters in Congress quickly and conveniently rolled over and died. Actually, the blow-back was immediate and fierce from the mining industry. This action, which applies to all mining-related 404 permits in the region, puts thousands of mining jobs and coal production in Appalachia at risk. While on the one hand the administration is spending billions in stimulus jobs, it is taking away the highest paying jobs in the region by delaying needed permit approvals. This is not good for jobs or for energy security. All of this pressure appeared to elicit an immediate backpedaling by the EPA, which issued a statement last night that seemed to contradict the early media reports. Moreover, West Virginia Governor Joe Manchin quickly took to grandstanding and went straight to Washington today to talk with Administration officials about impacts on West Virginia's economy. All of these conflicting reports have left opponents of mountaintop removal with a little whiplash, but they should not be distressed. There is no question that the EPA's move signaled a seismic shift from the Bush Administration's lax enforcement of environmental laws, and the back-pedaling doesn't change the fact that EPA is going to bring actual science back into the permitting process. 14,000 mining jobs are at risk. The savvy Huffington Post reader will probably be thinking: "14,000 jobs? Didn't the auto industry just layoff 100,000 employees? 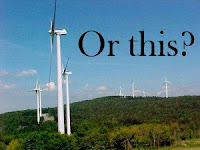 You're telling me that we are turning the oldest mountains in America into a parking lot for the sake of 14,000 jobs?" Employers took 2,769 mass layoff actions in February that resulted in the separation of 295,477 workers, seasonally adjusted, as measured by new filings for unemployment insurance benefits. But this misses a number of important points. In defense of the mining industry, 14,000 fairly high paying jobs mean a lot in this region, which is among the poorest in the country and already suffers rampant unemployment. But the most important point is that no jobs are being lost right away as a result of the EPA's decision. Anyone who says otherwise is posturing or bluffing. All the EPA's announcement means is that they will temporarily maintain the status quo that has been in place since March of 2007 when a federal district court judge suspended the permitting of most valley fills until the lax Bush Administration enforcement and evaluation standards were improved. There is not a single mine that will be shut down as a result of the EPA's decision. Presumably, mountaintop removal enthusiasts are really more concerned that new mountaintop removal mines will not come online as older mines reach the limits of their economically productive capacity and shut down. That is certainly what the author of this post would like to see happen, which may or may not make it a legitimate concern from the coal industry perspective, but it certainly changes the discussion dramatically in terms of impacts on the local economy. To be precise, if the EPA cracks down on mountaintop removal permitting what we're talking about is phasing out some proportion of 14,000 strip mining jobs in Appalachia over the next decade. But is this a significant number? Significant enough to justify what Vanity Fair has called "the greatest act of physical destruction this country has ever wreaked upon itself?" 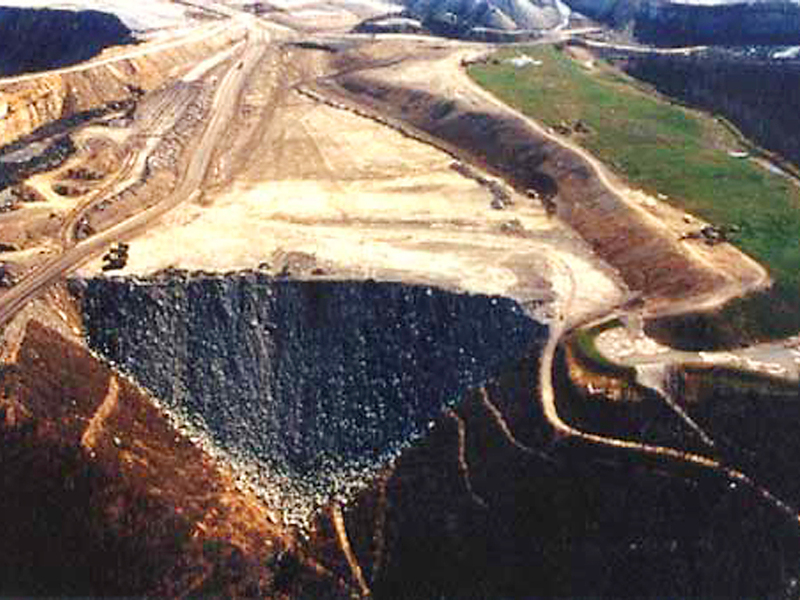 As an exercise - the EPA is not clear on how far they will go in reining in mountaintop removal - let's look at what might happen if the EPA completely eliminated all forms of surface mining, including mountaintop removal, in Appalachia over the next decade. I have created a number of PDF summaries of studies and reports on this subject that can be downloaded individually for those who want more detail, but here's a quick synopsis. 1. The only study that directly addresses the question of how restricting valley fill permits would affect the economy was conducted by a well-respected coal industry consulting group called Hill & Associates (H&A) in 2001. 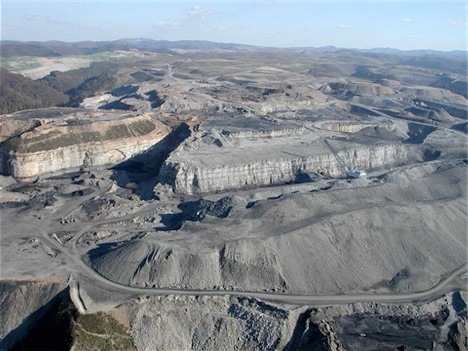 According to the study, restricting valley fills to watersheds no larger than 35 acres in size (basically cutting the amount of mountaintop removal mining in half) would decrease overall coal production by about 15% in Central Appalachia. This reflects a 65% decrease in mountaintop removal with a 10% compensatory increase in underground mining. "... the general downward trend of total tonnage from the study region under all cases is a result we see across many modeling projects.. [it]is exacerbated toward the end of the 10-year study period by the fact that significant blocks of higher-quality Central Appalachian reserves are starting to be exhausted. 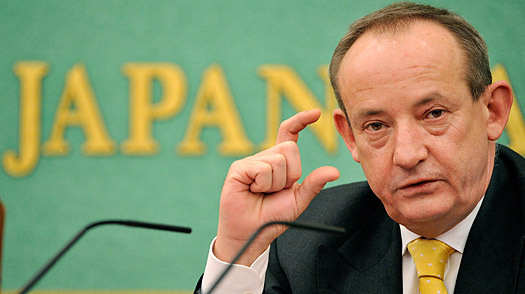 The better-quality coals in this region are slowly but surely being mined out." A final fascinating aspect of this study was that it also looked at how restricting mountaintop removal would affect the electric rates of consumers that rely on this coal for electricity. The impact would be somewhat less than 1% on electric bills. Let me repeat: reducing mountaintop removal by 65% would lead to a wholesale electric rate increase of less than 1% in states relying on this coal and an increase in residential electric rates even smaller than that. Given the weak economy and downward pressure on coal prices, in general, the table suddenly has tilted in such a way that more underground mines will be in danger of falling off the cliff. Deep mine operators who have been reluctant to idle mines in the face of a potential forced shut- down of surface jobs might re-think their hesitation. Most large producers have already announced sizeable trimming efforts, and reductions by smaller operators, while more difficult to estimate, are no doubt taking place. But in the current market environment in which demand is seriously slumping, the cutbacks are expected to continue in fairly big numbers. "Of all the regions in this analysis, Central Appalachia has been one of the poorest performers in relation to the ARC's economic distress measure over time. Furthermore, and unlike all other regions in the U.S., current and persistent economic distress within the Central Appalachian Region has been associated with employment in the mining industry, particularly coal mining." 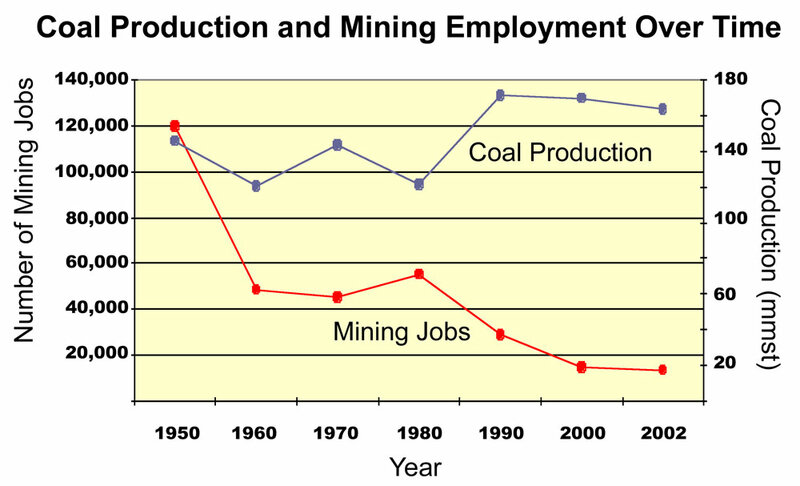 But people in Appalachia have long known that it's more than just "coal mining" that's the problem and that mountaintop removal specifically destroys far more jobs than it creates. If mountaintop removal created prosperity it should have done so decades ago. Instead, the counties where mountaintop removal occurs are among the poorest in the nation, with high unemployment rates and rapidly dwindling populations. 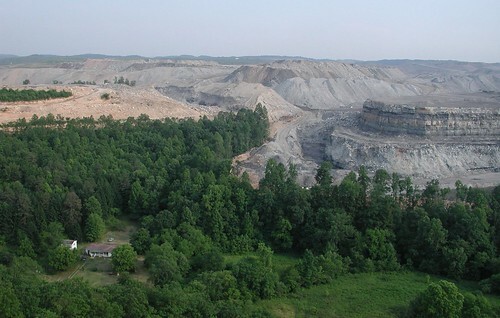 The stark reality is that few industries want to follow mountaintop removal. After all, what entrepreneur wants to open a new business in a community where massive blasts are cracking the foundations of people's homes, where hundred-year floods are an annual affair, and where the tap water looks like tomato soup and smells like rotten eggs? "The counties that have emerged from distress in the region have consistently had fewer jobs in mining and a greater number of jobs in manufacturing when compared to the counties that have remained persistently distressed." "...regional economic development is most likely to take place when national policies create the conditions to support it. As such, addressing persistent distress would seem to require a renewed national commitment, similar to the one that inspired the establishment of the ARC and the regional development policies of the 1960s." Sounds like President Obama is already on the right track with his green jobs and economic stimulus plans (unlike the coal state politicians that have a remarkably single-minded focus on an industry that supplies less than 2% of the jobs, but a much higher proportion of campaign contributions). That sums up the first part of the argument why President Obama should ignore the sky-is-falling predictions, disingenuous arguments and plain, old-fashioned rigged numbers that the coal industry and their supporters are throwing at him. The subject of a later post will be all of the opportunities there are and initiatives already underway in Central Appalachia to create new green jobs and diversify the economy beyond such a heavy reliance on coal. An estimated 15,000 jobs per year for the next five years could be created, for a total of 60,000 new jobs, the study said. Annual energy bill savings would be almost $800 million, with that amount rising to more than $27 billion per year by 2030, the study concluded. Now there's some job numbers that might really start getting out of the economic doldrums. Both speaking to the public yesterday at separate events, President Barack Obama and Energy Secretary Stephen Chu highlighted the administration's plans to make unprecedented investments in clean energy innovation. Speaking at the White House, President Obama continued to advance his post-environmental, innovation and investment-oriented energy agenda. After a spot-on introduction from articulate energy innovation advocate and MIT President Susan Hockfield (see related post), President Obama highlighted the unprecedented energy innovation investments in the stimulus bill and reiterated his pledge to invest $15 billion annually in the development of new, clean and efficient energy technologies. Obama also promised a ten-year commitment to make the federal Research and Experimentation Tax Credit permanent in order to encourage greater private sector investment in the kind of innovation that truly drives long-term economic growth. Obama's speech yesterday though was less notable for the policy announcements, which outside of the pledge to make the federal R&D tax credit more reliable were hardly news. What was more remarkable was that the President appears to be refining and committing to a truly post-environmental energy agenda, one focused on energy innovation and spurred by public investments to support our nation's best and brightest minds. Obama has not only surrounded himself with advisers who truly get the energy innovation challenge -- both formal advisers like Secretary of Energy Steven Chu and his newly-confirmed chief science adviser, John Holdren, as well as informal advisers like MIT President Susan Hockfield and UC Berkeley energy expert Dan Kammen -- but he has repeatedly decided to put them front and center, as he did again yesterday, giving them the spotlight as chief advocates of the Administration's clean energy agenda. Furthermore, the President couches his clean energy plans in arguments about economic recovery, global competitiveness and energy security with increasing skill. "[I]nnovators like you are creating the jobs that will foster our recovery -- and creating the technologies that will power our long-term prosperity. So I thank you for your work. It's said that necessity is the mother of invention. At this moment of necessity, we need you. We need some inventiveness. Your country needs you to create new jobs and lead new industries. Your country needs you to mount a historic effort to end once and for all our dependence on foreign oil. And in this difficult endeavor -- in this pursuit on which I believe our future depends -- your country will support you. Your President will support you." President Obama now appears poised to make unprecedented and much-needed investments in energy R&D on the scale of $15 billion annually, exactly what is necessary to truly spark the kind of revolution in clean energy technology needed to overcome the climate and energy challenge. 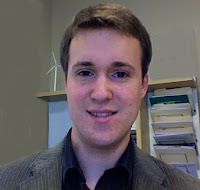 What remains to be seen is if he plans to pledge the full support and scale of public investments necessary to quickly take these technologies from the lab to the marketplace and rapidly drive the deployment of emerging clean energy sources; if he will usher in critical investments in enabling infrastructure, like a new 21st century electrical grid; and if he will coordinate all of these efforts to truly make clean energy cheap. Still, Obama's increasingly powerful calls for energy investment and innovation are highly encouraging. While President Obama spoke in Washington, Energy Secretary Steven Chu spoke at Brookhaven National Laboratory in Long Island to highlight a new $1.2 billion investment in basic science and innovation at the National Labs funded by the stimulus and continue to flesh out the Obama Administration's plans to spur economic recovery through energy innovation. After visiting various research buildings, he gave a pep talk on the energy revolution he said was vital if the United States and the world are to avoid conflicts over limited supplies of oil and eventual disruptive impacts from human-caused global warming. Over and over, in examples from the first transcontinental telephone call to the transistor to methods for synthesizing ammonia (and thus nitrogen fertilizer), Dr. Chu pointed out how great technological advances benefiting society grew out of fundamental breakthroughs in basic science. Now, [Dr. Chu] said, the country's challenge is to grow a generation of energy innovators, a challenge made harder because innovation has never been much of a priority within the energy industry. To ensure we have the intellectual and human capital needed to tackle the grand energy innovation challenge, it seems Secretary Chu is in 100% agreement that it's high time for a major public investment in energy education. A high hurdle: of the 37 Senators identified as swing votes, all but seven must be convinced to vote "Yes" in order to secure passage of any climate policy in the U.S. Senate. There's been a spate of recent public announcements from moderate Democrats and Republicans alike, voicing caution about a proposed cap and trade program to place a price on carbon dioxide and cut global warming pollution. More than one third of the U.S. Senate now joins the fifteen moderate Democratic Senators we've dubbed the "Technology Fifteen" as vocal swing votes in the upcoming debate on climate policy. Below the fold is an updated tally of where the Senate stands on climate policy by my assessment, based on recent public announcements and past voting histories. With using budget reconciliation to bypass the 60-vote filibuster hurdle off the table, to secure passage of any climate policy in the U.S. Senate, all but seven of the 37 Senators I identify as swing votes must be convinced to support the proposal (joining the 30 Senators I classify as "Assumed Yes" votes). Here's some news to brighten your Friday! 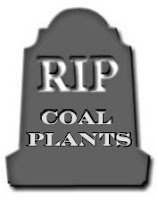 Proposed new coal plants have been dropping like flies over the past month, and yet another one bites the dust today, this time in Nevada. Citing strong local opposition and increased certainty that global warming pollution from coal plants will be regulated, energy developer, LS Power announced they will be "indefinitely postponing" plans to build the controversial 1,600 MW coal-fired White Pine Energy Center near Ely, NV. The news is even better than that though: after dumping their coal plant plans, LS Power has made the wise decision to instead turn to clean renewable energy to meet it's energy needs. The energy developer plans to focus its attention and investments on a new transmission project that will strengthen the intermountain region's ability to harness the area's abundant wind, solar and geothermal energy potential. LS Power has announced it is shelving plans to build the controversial White Pine Energy Center near Ely. The planned 1,600-megawatt coal-fired power plant received initial permits from the Bureau of Land Management three months ago. But the project has faced setbacks as business partners jumped ship, the BLM permits were appealed to the Interior Department’s Board of Land Appeals, public opposition mounted in two states and expected federal carbon-capture legislation threatened to drive skyward the price of generating electricity from coal. LS Power said in a statement it would shift its focus to completing the Southwest Intertie Project, a planned 500-kilovolt transmission line that will extend 500 miles from southern Idaho through eastern Nevada to the Las Vegas area. The project would allow developers to move forward with planned renewable energy resources in several rural areas, move electricity between Nevada’s two grids and fill a troublesome gap in the intermountain area’s electric transmission grid. The company expects to begin construction on the transmission line this summer. “As demand for renewable energy increases we are focusing more and more of our internal resources on providing transmission solutions for both renewable project developers and load serving entities,” LS Power President Paul Thessen said in a statement. The announcement that the coal plant would not be built in the immediate future was hailed by environmentalists, conservationists and renewable energy advocates, including Sen. Harry Reid. The announcement came just days before two Public Utilities Commission hearings on whether the coal plant is needed. The company notified the PUC on March 5 it was suspending its application for a permit with the commission until it can obtain the necessary air permit from the Nevada Environmental Protection Division. Nevada law requires that before facilities of this type can be built, the PUC must determine there is a need for the plant, all regulatory approvals have been granted and the need for the plant balances any adverse environmental effects. Although the plant has strong support in the Ely area, it is opposed by environmentalists, health activists and clean air advocates across the West as well as supporters of National Parks and renewable energy. The company said in previous interviews that it anticipated a long and tough legal battle with groups opposing the plant. Dynegy, a company that partnered with LS Power under the moniker White Pine Energy Associates to build the plant, announced in January it was abandoning all coal plant development because of the lack of public support and regulatory uncertainty. The White Pine Energy Center is one of dozens of coal plants across the country to be postponed indefinitely or canceled outright in recent years. It is the second planned Nevada coal plant in as many months to fall victim to political and economic uncertainty. NV Energy announced last month it would not pursue the planned Ely Energy Center until emission controlling carbon capture technology could be deployed at a reasonable price. The third coal plant, planned near Mesquite, is still under environmental review by the BLM. It is widely opposed by residents. Meanwhile, federal permit activity for all three coal plants continues, according to BLM Nevada spokesman Chris Hanefeld. LS Power and the BLM are still preparing to defend the BLM’s permission to build the White Pine Energy Center. The decision was appealed last month by a consortium of environmental, health and parks groups wishing to get the project canceled. If construction on the White Pine Energy Center doesn’t begin within five years, the company would need to apply for a BLM extension of the permit or abandon plans to build the coal plant. NV Energy’s Ely Energy Center has an active BLM file, which is expected to be amended soon as the utility seeks to split the postponed coal plant from plans to build a large cross-state transmission line connecting the state’s electrical grids.